 KeystoneCare is a nonprofit, charitable organization providing full service home health and hospice services to patients and families the Greater Philadelphia Region. KeystoneCare provides full service care with compassionate and experienced staff, at every stage or state of health. Our services include (but are not limited to) post-hospitalization home care, palliative care, comprehensive hospice services, private duty care and telehealth services. For more than 20 years, we have helped improve the quality of life for our patients and their families with comfort and dignity, regardless of stage of life or state of health, and will continue our commitment to do so in years to come. KeystoneCare is Medicare and Medicaid certified, and maintains contractual agreements with most major insurance plans in the region. We are a partner in the Pennsylvania Department of Human Services’ Aging Waiver Program. KeystoneCare is governed by a Board of Directors. KeystoneCare can provide home care, palliative care, and hospice care at assisted living and skilled nursing facilities, in patients’ homes, or at Keystone House, our (indicate how many patient rooms) inpatient/residential hospice care facility staffed with kind and compassionate, skilled and experienced providers. Keystone House, the first residential hospice in Pennsylvania, is located in Wyndmoor, PA and was established in 1997 as a state model for providing holistic care in a home-like environment (and certified in…?) For more on Keystone House, please visit here. We accept all major insurance plans. Any questions, please contact us.